What colour is a mountain in the Icelandic highlands illuminated by the midnight sun? The shade of the dusty gravel road you took to get there? And the Arctic Ocean you passed, changing its mood and tone every minute? 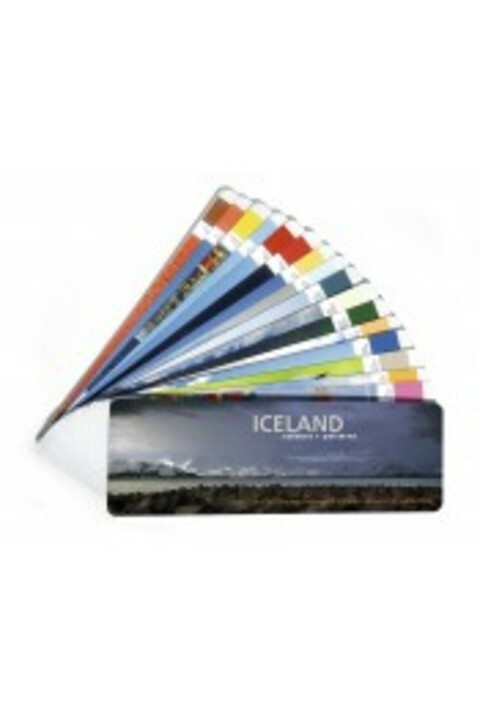 This book helps you to experience the colours and patterns of Iceland in a new light. Use it next time you paint your house, knit a sweater, or make an artwork, and enjoy a piece of Iceland where ever you are.